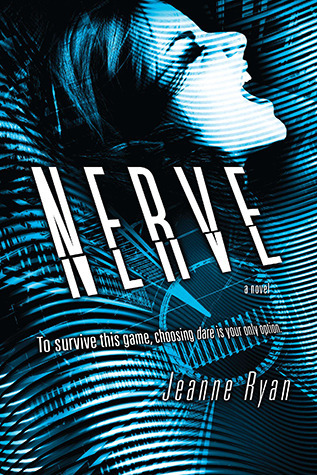 Nerve was Jeanne Ryan's debut novel, a YA thriller, published in February 2015 and now here it is, ready to hit the screen this July. The movie stars Dave Franco, Emma Roberts and Juliette Lewis and while the trailer reveals a far-fetched, fast-pace thriller plot-line with comic elements and the necessary sexuality that comes with a summer flick, it looks like it will be a giant hit for the under-30 millennials who just want to have some fun on a Friday night. No big thing. Just a movie. Thanks to my twitter friend @poet_teresa for the heads up! When Vee is picked to be a player in NERVE, an anonymous game of dares broadcast live online, she discovers that the game knows her. They tempt her with prizes taken from her ThisIsMe page and team her up with the perfect boy, sizzling-hot Ian. At first it's exhilarating—Vee and Ian's fans cheer them on to riskier dares with higher stakes. But the game takes a twisted turn when they're directed to a secret location with five other players for the Grand Prize round. Suddenly they're playing all or nothing, with their lives on the line. Just how far will Vee go before she loses NERVE?